The operation to make battle royale behemoth Playerunknown's Battlegrounds less broken, Fix PUBG, has come to an end. That's according to a post on the game's Steam page from executive producer Taeseok Jang, who wrote that while all staff at PUBG Corp had been working on this scheme, this focus had resulted in other areas, namely stability, suffering. Jang is keen to point out that the impact that Fix PUBG - which launched in August - had on the game, pointing to improved client and server performance, as well as matchmaking. He also says that the company banned two million accounts during the Fix PUBG scheme for cheating alone, going on to explain that PUBG Corp is working on its own anti-cheat solution to help halt this problem in the future. Of course, where this isn't working PUBG Corp has been teaming up with local law enforcement. Moving forwards, the company says it is going to continue trying to improve the game's stability and quality. "Throughout our game’s journey, our main goal was to provide you new content quickly, while supplementing battle royale gameplay," Jang wrote. "We acknowledge that in this process, we have overlooked issues that matter to you and we have reflected a lot on our mistakes. Something like this requires not only considerable effort, but extra care to ensure that bugs remain fixed and do not impact anything else. "Therefore, when designing the 2019 PUBG roadmap, we’ve changed our direction from this last year. Build stability and quality are now our most important value, and upon that base we will build new Battle Royale gameplay and new content. At first, this is likely to slow down our build cadence, but as these processes become more proficient, we hope to provide new content as fast as before, while maintaining our new stability and quality-first goal. While we cannot say how long this will take, we promise you that we will give our best efforts to reach this stage as quickly as possible. "Three months have passed since the announcement of the FIX PUBG. We know there are many things to improve upon, but we do have a sense that we more accurately feel what you, the players want and need. 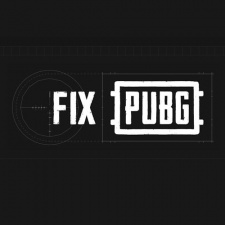 While this is the end of the FIX PUBG campaign, we will go forward in our development, improve our processes, and redouble our efforts with the lessons learned. "